Looking for the Instructional Video Set? Daryl Herbert is a state registered osteopath whose Chingford Osteopathy Practice has now been established for thirty years in North East London, E4. The Churchill Medical Centre was purpose built in 1996, comprising of an NHS GP clinic and Daryl Herbert & Associates, which is situated in one third of the building, incorporating a full time osteopathy practice and part-time clinics for acupuncture, hypnotherapy, massage, reflexology, nutrition & dietetics & therapeutic counselling. In 2010 Daryl Herbert started a new Loughton Osteopathy Practice in Essex IG10, at the Station Road Dental Practice. The dental practice is a busy clinic and Daryl will be using a single room, hoping to bring his clinical, teaching and manipulative skills to develop and build a new osteopathic practice, providing a new service for the Loughton community. Daryl will be working three-and-a-half days in Chingford, two long half days in Loughton and half a day teaching at the University College of Osteopathy (UCO) formerly the British School of Osteopathy (BSO), teaching the final year students the Advance Manipulation Elective for the masters degree. As well as this, Daryl is teaching regular post-graduate courses on Advanced Osteopathic Spinal Manipulation with the emphasis on efficiency, effectiveness, gentleness, accuracy, safety and control. Courses are held in osteopathic schools and with private osteopathic and physiotherapy groups, in the UK, all around Europe, Australia, Scandinavia, Canada, the USA and Israel. 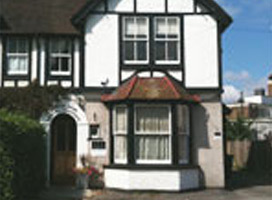 The Chingford osteopathy clinic, the Loughton osteopathy clinic and the Chingford complementary treatment clinic are private clinics, running as self-contained practices. Most private Health Insurance companies will reimburse all or most of the osteopathic fee. Alongside Daryl in Chingford currently are two other associate osteopaths, all qualified, registered and fully insured, as is the principal. Complementary therapies currently include, acupuncture & chinese herbal medicine, counselling, hypnotherapy, reflexology & sports massage. Appointments with any of the osteopaths and other therapists can be made at the reception, or by telephoning the relevant clinic number. Online appointments for the osteopaths only are available by clicking the ‘Book Now’ links. 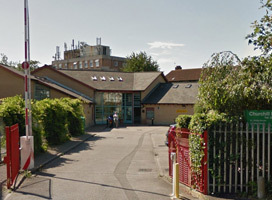 Churchill Medical Centre is also occasionally used for evening talks and practical osteopathic and manipulation courses outside of clinical hours and at weekends.